Over on Jefferson Avenue, you may have already noticed that there has been some bushy green trees popping up on the fence by Alamo BBQ. 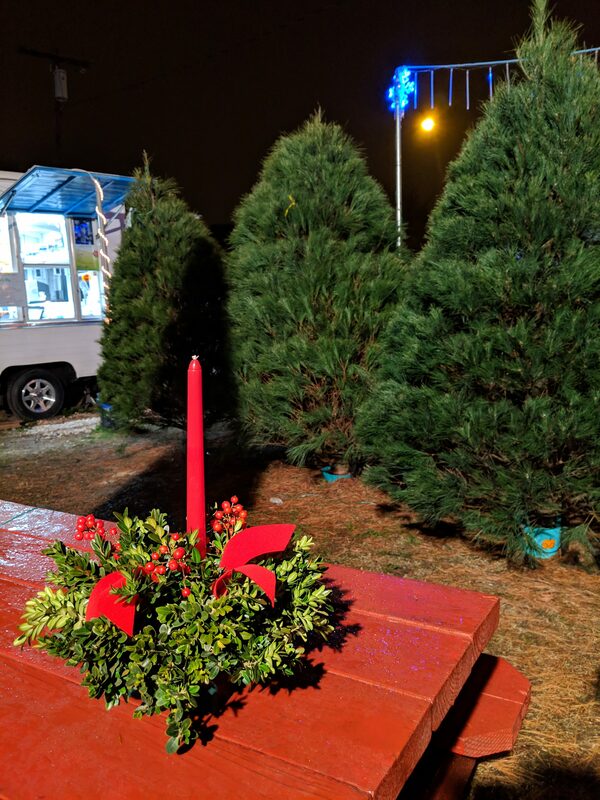 Terrie Scherer , the owner of Snow’s Ice Cream and Crepery, emphasized that this idea has come about through community support and she is very grateful. From the poles that hold up her signs to the tools she uses to cut and trim the trees up, neighbors have helped and donated to make this possible. Snow’s works with a Virginia tree farm in Bowling Green to provide fresh cut White Pine trees. White Pines are known for their soft, blue-green needles that are 2 to 5 inches long. These trees are very full in appearance and tend to look a bit fuzzy. 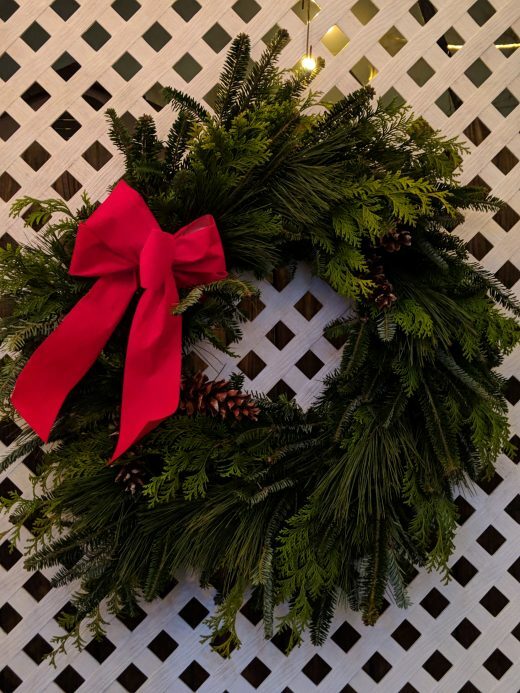 They also offer fresh wreaths from the same farm made with a mixture of fresh cut tree branches, mistletoe candlestick center pieces, and mistletoe balls. 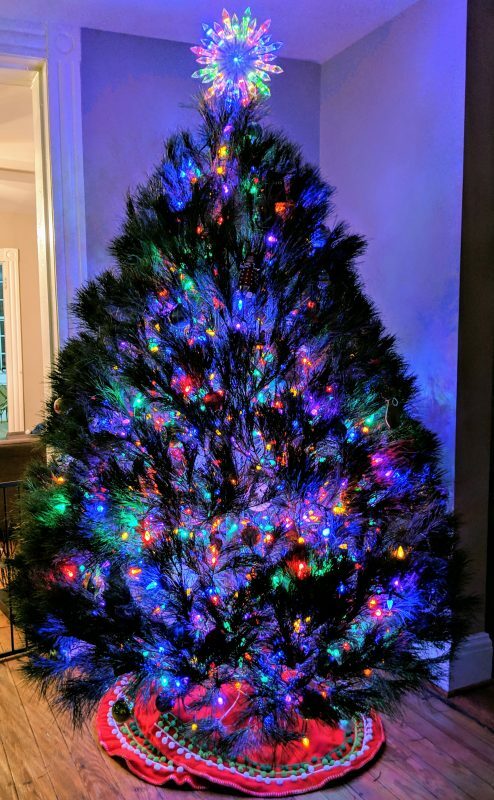 With your tree purchase, you get wonderful service and smiles. They offer full netting of your tree, will help with loading, and even provide some fabric for the roof of your car to prevent sap from any damage. As they prepare your tree, you are offered free hot cocoa or cider to help stay away the cold and fill you with holiday warmth and cheer. My family is so happy with our tree and also grateful to the Church Hill community for continuing to support local, small business.